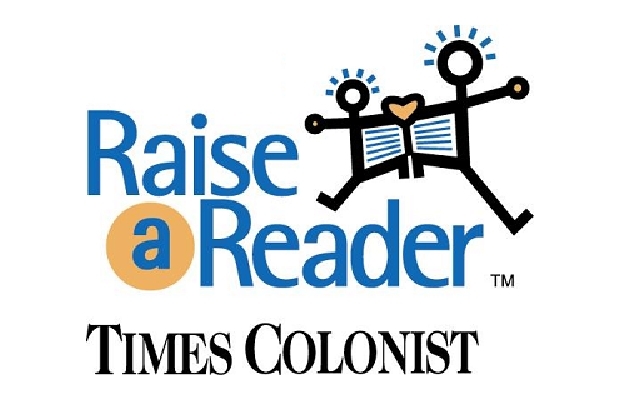 Victoria, BC: The Times Colonist joins newspapers across Canada for Raise-a-Reader Day in support of family literacy. The charity is in its 11th year as a national fundraiser, helping children get the right start in life through literacy. TOMORROW, September 19th, between 7:30 am and 9:00 am hundreds of volunteers – including local celebrities, sponsors and literacy beneficiaries – will blanket downtown Victoria streets and 4 (four) local Peninsula Co-op locations including Millstream, Pat Bay Highway, Royal Oak and Keating X Road. Decked out in their bright green t-shirts, they’ll be hawking special edition copies of the Times Colonist for donations to Raise a Reader. • Improving literacy levels has a positive impact on our community’s economy and social wellbeing. • 100% of the money collected on Raise a Reader Day stays on Vancouver Island, and is distributed to school libraries and literacy programs, including Literacy Victoria, The READ Society, the Greater Victoria Public Library, Peninsula Connections for Early Childhood and more. • The Times Colonist provides the time and resources to carry out the program so that every penny donated on Raise a Reader Day goes to our beneficiaries. Raise a Reader Day would not happen without the hundreds of volunteers and community partners who support the campaign including Peninsula Co-op, UVIC, The Strathcona Hotel, Serious Coffee and CHEK TV. Since its inception 11 years ago Raise a Reader nationally has collected over 20 million dollars. Support family literacy in our community with your donation on September 19. Reading is a gift – please help give it.